-We all use the email to send the documents and files to the bulk people. Electronic mail ID is also used to register in a website or other. It contains the data which is very private and should be secured. As we all don’t want to hack our emails and face the issues we use the disposable email address like 10 Minute Mail. So, using this we can generate email ID’s in a few seconds. But now the 10 Minute Mail is not working let us see the Best 10 Minute Mail Alternatives here. If you are here to use the website other than 10 Minutes Mail then check out this article. These days we all need communication security. So, we are in search of the temporary email address. If you do not wish to use your actual email like verify your identity or other transactions. Then the 10 Minutes Mail is the best one. You can also use the Alternatives to 10 Minute Mail. These are very easy to use and also give you the same output and security. In this article, we will give the list of 10 Best 10 Minute Mail Alternatives. 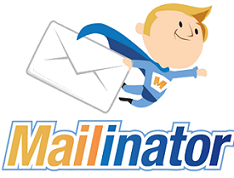 Mailinator – If you want the Best Alternatives to 10 Minute Mail then Mailinator is the option. This has been serving from years to create the temporary mail Id’s. Many of the companies use this to generate the mail address. Mailinator is easy to use and it only takes a few seconds to set an address. It is free of cost for single email use, but for any enterprise or testing options, then you need to pay a price. You can check the inbox of the public email address whenever you want. Public Mailinator is receiving only and also attachment free system. Dispostable – As the name suggests the mail Id’s created by this are disposable. So, this is the best to create a temporary address and can also check the inbox. Dispostable is all free of cost and no hidden charges. This is a simple one but will make sure your job complete. We can choose any address but should end with @dispostable.com. The generator email can last for 3 days and we can check the inbox. It has an easy and great interface which is very easy to use. Dispostable is always an easy website to use to complete the work in a few seconds. MailDrop – There are few websites where we need to sign-up and we think about the security. In that case, MailDrop is the Best 10 Minute Mail Alternatives. We can also use this for companies that track record of the email address. If you need a quick disposable e-mail then MailDrop can be used. This can also be used in e-commerce where you want to buy and don’t want them to follow you back. 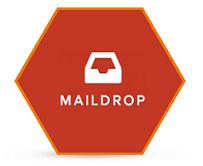 MailDrop is free of cost and open source website. It can save your inbox from the spam messages. This provides us the random and along with the custom email address. Temp Mail – We can use the Temp Mail to generate the mail address that expires in one hour. This is the best website to use the email address to sign in websites. These are easily disposable. The website interface is very easy and you can generate the email Id. These can also be used to sign up in the blogs, social media sites. We can check the inbox of the email address up to an hour. Temp Mail generates the random email address and we cannot customize them. It provides us the link where we can check the inbox anytime and anywhere. Guerrilla Mail – In most of the temporary email address we cannot send emails to others. So, Guerrilla is the Best 10 Minute Mail Alternative 2019 to send the emails. This allows us to send and receive emails without any registration. Guerrilla Mail provides the random address to use for our purpose. We can also customize their own address. This website service is available since 1990 and one of the most recommended. The best part of this is we can compose the mail and send it. Guerrilla is also available in the Android mobile in form App. This will give you a better experience of using the website. Fake Mail Generator – To create the temporary email address like 10 Minute Mail then Fake Mail Generator is a good choice. The using of this website is very easy. You can create your own username of your choice and domain too. Moreover, there are few choices for the domain to select. The Fake Mail Generator provide the copy option on the website which will help you. We can receive the emails and the pop-ups that can be seen immediately on the page. You can create new mailboxes to hide from the spam and be secured and private with our data. Getnada – If you want to manage the different temporary mail address at one place than Getnada will help you with this. It is the Best Alternatives to 10 Minute Mail website. This gives you the random mail id and also inbox to check the emails. We can add Inbox with other temporary mail Id which can be customized. Use this email with the untrusted websites and block the spam sent to your address. We can easily copy the random email address generated by the Getnada website. The domains are recycled for every month on this website. So, we need to transfer the inbox to the new domain. The individual messages are also deleted in seven days. Bouncr – The name itself says that it will bounce all the spam messages from your inbox. You can create temp emails for free of cost and short email address. We can control the link between the Bouncr and our email address. You can customize the email address and share in the websites and also social media. We can easily copy the address to clipboard and use it wherever needed. Using this we can divert the spam messages directly to the Bouncr address from our email ID. When we delete the temp mail all its content will delete automatically. This is reliable to use and it will give great advantages. YOPmail – To create the temp mail address of our choice YOPmail is used. This is the Best 10 Minute Mail Alternative of 2019 to safeguard from spam messages. There is no need for any registration and also the password. The messages in this email will be deleted after 8 days. The inbox is generated automatically. This comes with the random email address. The website comes along with extensions for easy access to the inbox. We can also chat with YOPchat. Choose your own domain and username to create the email id and forward it to untrusted websites. This is quick and free of cost to generate the email address. Incognito Mail – This will allow you to create the disposable email address like 10 Minute Mail. You can create an anonymous email account to secure from spam. The email created by Incognito Mail will last for 60 minutes. 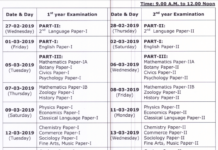 So, you will get enough time to activate or deactivate the websites using this address. You can get the temporary email address or create an address. The user interface is very easy and you can check the inbox within the page. This is used by many users to log in to the websites to read the content. As the mail Id will get deleted in one hour there will be no issues. Incognito Mail is very secured and private. Using this will avoid all the spam and follow back messages from different websites. 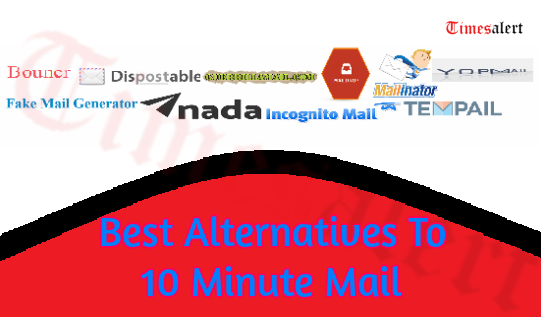 These are the 10 Best 10 Minute Mail Alternatives 2019 which are used to create the temporary mail addresses. We gave the best websites among all those available in the market. Choose one of them and use them to avoid spam and protect your privacy. These are the most recommended and working websites. 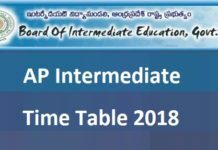 For more updates check Timesalert.